"We expect momentum for Roku TV to accelerate as we continue efforts to add new TV partners while expanding our work with existing partners to bring many more Roku TV models to the U.S., Canada and soon Mexico." 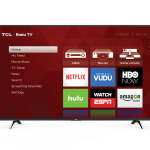 LAS VEGAS--(BUSINESS WIRE)--At CES 2014 Roku Inc. unveiled Roku TV™, a smart TV platform licensed to TV OEMs, with the goal of providing its TV partners with a cost-effective solution to build the best smart TVs in the industry using the Roku® OS. Roku TVs combine the simple, personalized home screen, 3,000+ streaming channels and powerful search and discovery features of the Roku OS with sleek hardware designs and affordable prices, making them some of the most-awarded, highly sought after smart TVs available today. 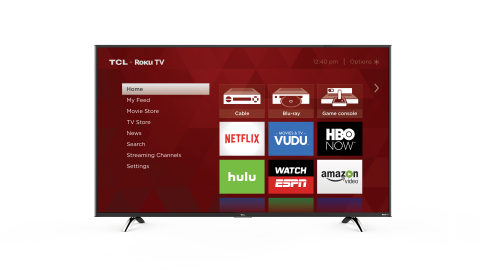 Now, with approximately 8% smart TV market share* in the U.S., and one million Roku TVs in the homes of consumers at the end of 2015 alone; Roku enters 2016 with plans for the first 4K UHD Roku TV models, the introduction of the Roku TV HDR reference design, and its TV OEM partners expect to introduce nearly 60 Roku TV models. Roku is the creator of a popular streaming platform for delivering entertainment to the TV. Roku streaming players and the Roku Streaming Stick® are made by Roku and sold through major retailers in the U.S., Canada, the U.K., the Republic of Ireland, France and Mexico. Roku licenses a TV reference design and its operating system to TV OEMs to create co-branded Roku TV models. Under the Roku Powered™ program, Roku licenses its streaming platform to pay TV operators around the world who want to use the Internet to deliver entertainment services through streaming players. Roku was founded by Anthony Wood, inventor of the DVR. Roku is privately held and headquartered in Saratoga, Calif., U.S.